We map your value chain to identify opportunities for tangible business impact and growth. Detailed intelligence ensures implementation of green solutions across the value chain. Know where to build capacity. Determine project viability in advance. Identify new revenue streams, business opportunities and markets. Secure steady, guaranteed raw material supply. Developing the waste economy value chain has significant social, environmental and economic benefits. 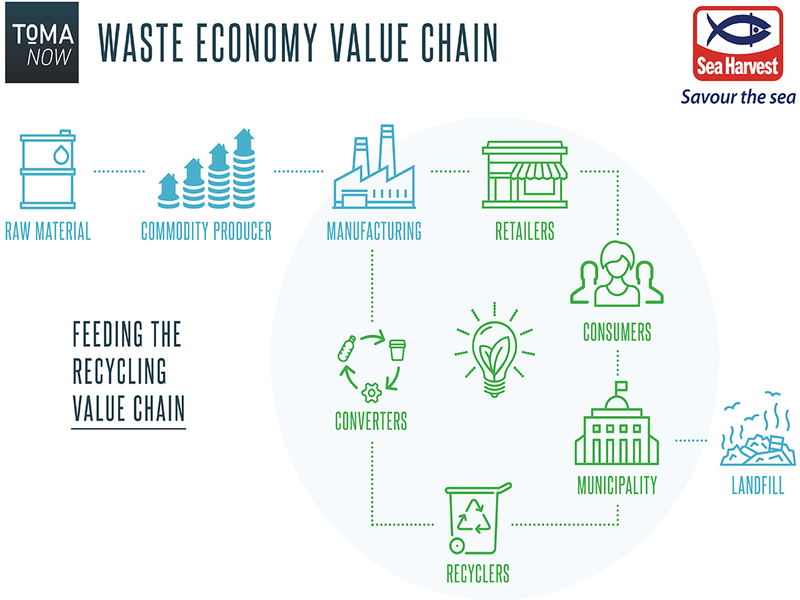 The recycling value chain can create significant opportunity for economic growth, reduced environmental footprint and a means of addressing consumer concerns. The alien vegetation biomass value chain looks beyond resilience from waste to resource. We explore potential beneficiation applications to create value. 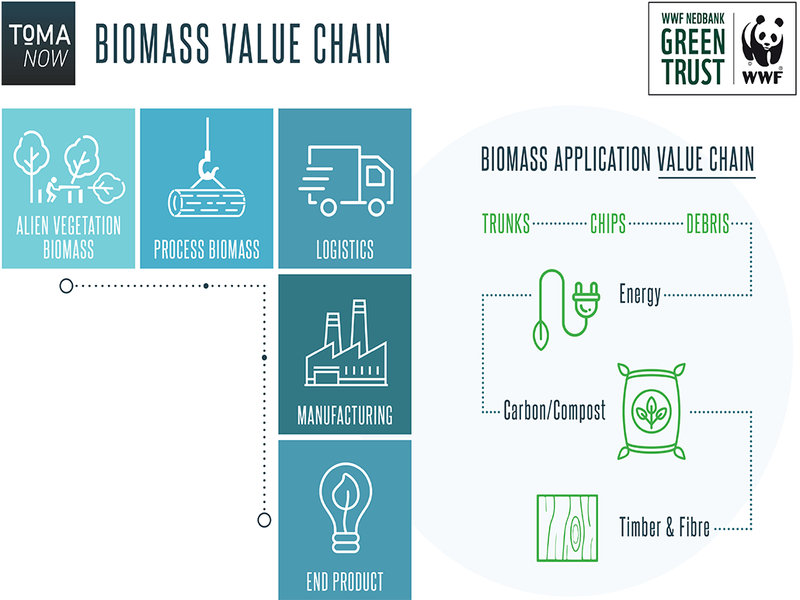 Optimizing the value of biomass could help to cover the costs of clearing, potentially making it economically viable and creating jobs. All of this and water security for South Africa! Developing natural product value chains is not only significant to large, international markets but can become an innovative way for local communities to design their own futures. Exploring natural product value chains such as for the agroprocessing of Sceletium, creates infinite opportunities. Seen here under development in the Kranshoek and Harkerville communities.